An experiment in building great public spaces. 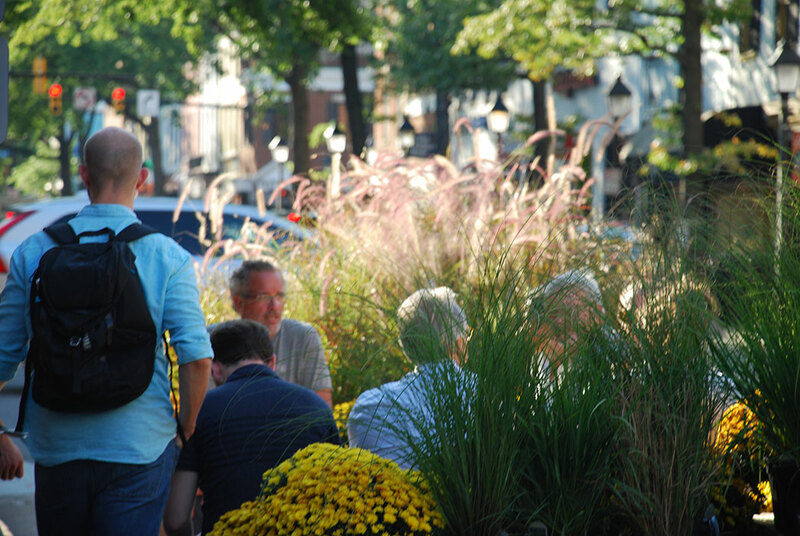 Warning…designers, planners, and citizens alike are on a mission to transform your parking space into a dynamic and vibrant place for people to sit, eat, play, read, or chat. 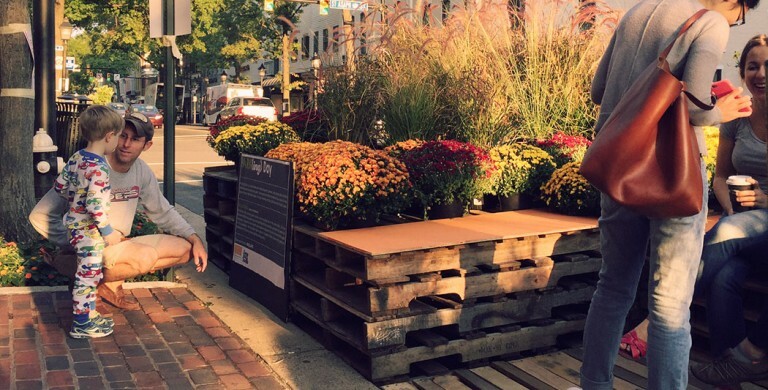 Park(ing) Day has become a world-wide event in which, for one day, parking spaces are converted into parklets – an extension of the sidewalk to provide a people-friendly space. Initital Park(ing) Day concept rendering. 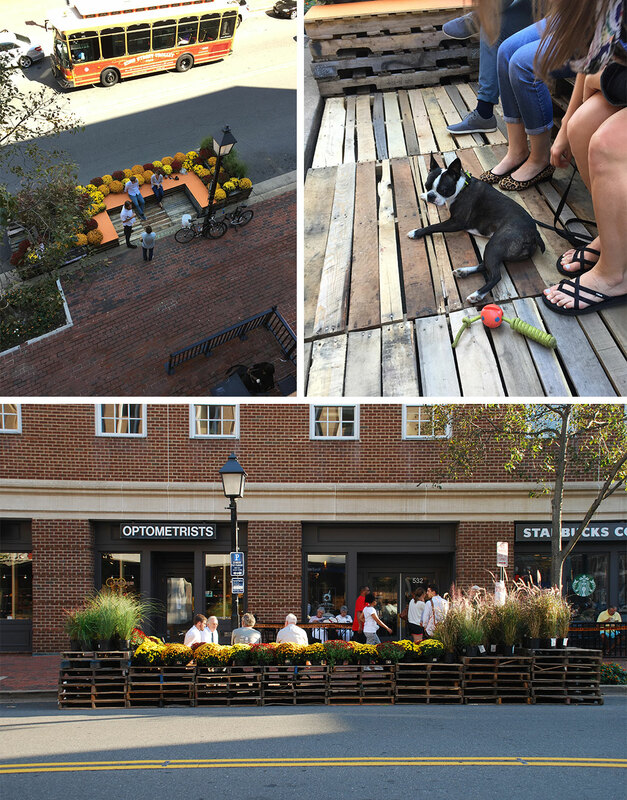 This year was Rhodeside & Harwell’s third Park(ing) Day installation once again on King Street in the heart of Old Town, Alexandria. From our initial concept of a rolling urban meadow, we focused singly on creating an immersive and relaxing experience for passers-by. It became clear, after observing stacks upon stacks of unused wood pallets, how we were going to sculpt our artificial terrain. The steps of pallets were to be softened by ornamental grasses, presently at the peak of inflorescence. 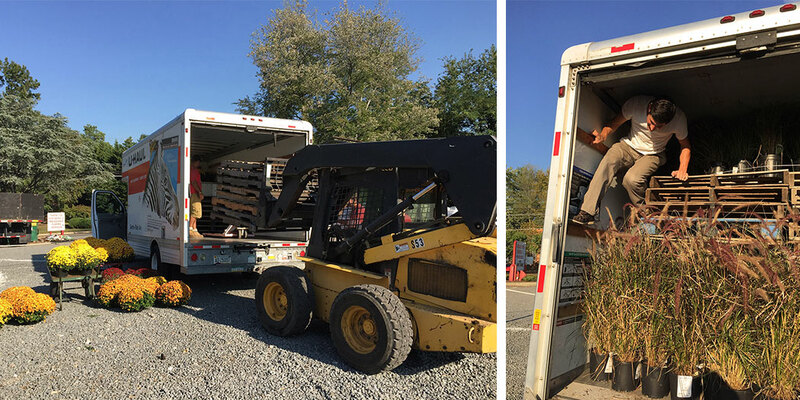 Meadows Farms Nursery was involved from the start, eager to help complete the vision, loaning all of the plants and pallets needed for the installation. We crammed a 17’ moving van full of 75 wooden pallets and over 90 plants (precisely laid out thanks to a SketchUp model that confirmed it would all fit). The Meadows Farms staff operated a front loader to lift pallets into the truck, as we snuck in between the crevices to stuff the plants. Installation began at 6 a.m. in front of Starbucks and, through many hands, completed in time to capture the attention of the early morning coffee-goers. Pallets were laid out in layers, with the tallest stack reaching 7 pallets high. Next we screwed painted plywood down to the pallets to highlight the designated seating area and to provide a smooth seating surface. We concentrated the color and softness of the mums closest to the visitor and located the grasses at the highest peaks to maximize the sense of enclosure and capitalize on the sun’s reflection through their translucent leaves and feathery flowers. The parklet functioned simply as a place to gather – where the experience itself became the leading voice for the role of great public spaces. 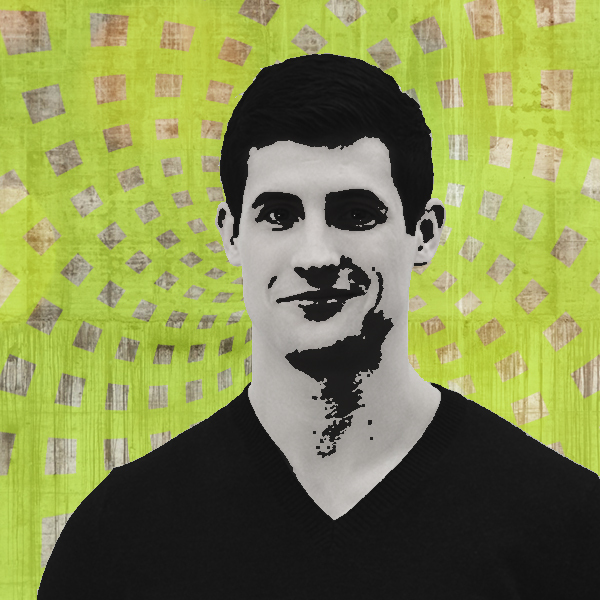 If asked, we would expound upon the meaning of Park(ing) Day, but it became most fulfilling to simply see the awe in people’s eyes as they stopped to observe, or the smiles from those who decided to sit down and carry on their conversations. While the amount of material required for install seemed daunting, the purpose of the space and the design remained simple – a great public space should be enjoyed by everyone. This goal is what motivates Rhodeside & Harwell each year to craft a new transformative space near our office (but we also don’t mind when our work gets highlighted nationally!). 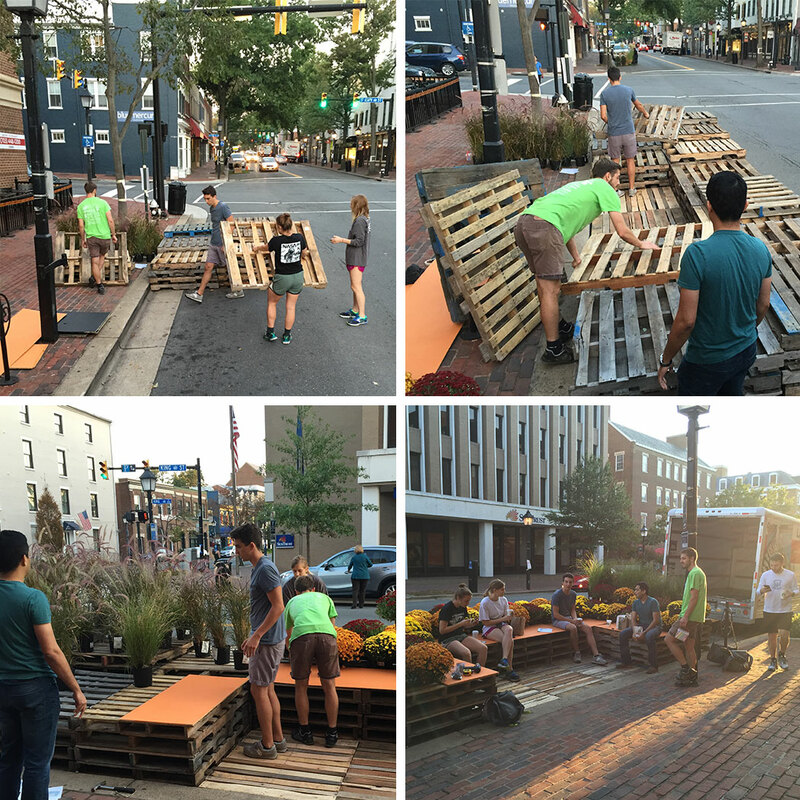 The lingering question in the office is that with Washington D.C.’s first seasonal parklet designed by Gensler and installed this summer, where will we see Alexandria’s first permanent parklet? Beautiful, fall-capturing design that is lovely to see and functional as you can sit within the creation and enjoy. Kudos to Bryan and the Rhodeside and Harwell team! A winner!